The CSWA Farm Plan walks growers through a hybrid of the Resource Conservation Districts’ (RCD) LandSmart Plans and California Code of Sustainable Winegrowing. These workshops are designed to assist growers who have already begun completing the CSWA Farm Plan Template or LandSmart. Workshops will be held in computer labs where there will be technical assistance available to work on your Farm Plan, including mapping assistance, LandSmart questionnaire and table completion assistance, technical guidance with engineers and Qualified Professionals, and assistance compiling needed action items for compliance. Growers are encouraged to attempt to complete as much of their Farm Plan as possible in advance and bring your questions. Please note, CERTIFIED SUSTAINABLE vineyards are not automatically in compliance with the General Waste Discharge Requirements for Vineyard Properties in the Napa River and Sonoma Creek Watersheds. The CSWA Farm Plan template must be completed and verified for any vineyard using the CSWA Third-Party Program. 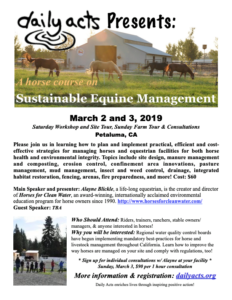 Please join Daily Acts and the RCD in learning how to plan and implement practical, efficient and cost-effective strategies for managing horses and equestrian facilities for both horse health and environmental integrity. The Sustainable Equine Management Workshop will be of value to all of our equestrians, and the greater community! There is also the opportunity for a consultation with Alayne Blickle of Horses For Clean Water! Growers will gather for a morning of presentations and discussions on improving vineyard soil health. 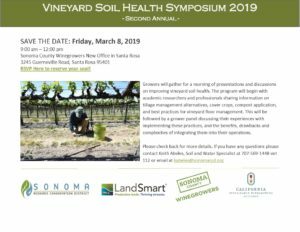 The program will begin with academic researchers and professionals sharing information on tillage management alternatives, cover crops, compost application, and best practices for vineyard floor management. This will be followed by a grower panel discussing their experiences with implementing these practices, and the benefits, drawbacks and complexities of integrating them into their operations. Discussions will highlight the benefits, drawbacks, challenges and complexities of reducing tillage in the vineyard. Please check back for more details. If you have any questions please contact Keith Abeles, Soil and Water Specialist at 707-569-1448 ext 112 or email at kabeles@sonomarcd.org. Hosted by the Sonoma Resource Conservation District and Sonoma County Winegrape Commission with support from the California Sustainable Winegrowing Alliance. Come learn how to maintain rural roads to reduce annual maintenance costs and prevent erosion. We will share tools to help you implement best management practices (BMPs) on your roads and comply with future water quality regulations. We will also take a walking tour of road treatments recently implemented and will discuss potential grant funding available for rural road erosion control. This workshop has been funded wholly or in part by the USEPA and the State Water Board. The contents of this document do not necessarily reflect the views and policies of the USEPA or the State Water Board, nor does the USEPA or the State Water Board endorse trade names or recommend the use of commercial products mentioned in this document. Join Sonoma RCD and Jackson Family Wines to learn about their Healthy Soils Demonstration Project, which is looking at how tillage and compost application influences soil health and productivity within a working vineyard. 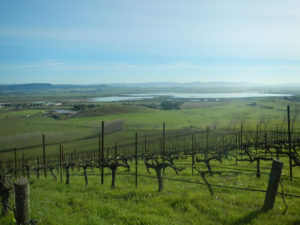 The workshop will describe the long-term field trial started in 2018 at Saralee’s Vineyard and highlight what management practices other vineyards can adopt to improve soil health and sequester more carbon in their soil. The workshop will conclude with a field tour of the test plots so please dress accordingly. Morning pastries, coffee, and tea will be provided by Jackson Family Wines. This field tour is part of the RCD’s ongoing Soil Health Series. Please visit the North Coast Soil Hub at http://soilhub.org/ to learn more about soil health and other upcoming events in the region. 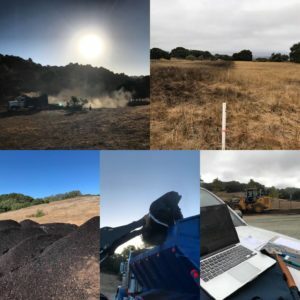 The 2017 Healthy Soils Demonstration Project is funded by the Greenhouse Gas Reduction Funds and is part of California Climate Investments, a statewide program that puts billions of Cap-and-Trade dollars to work reducing GHG emissions, strengthening the economy, and improving public health and the environment. Private ranch located in Petaluma. Address provided to registrants only. 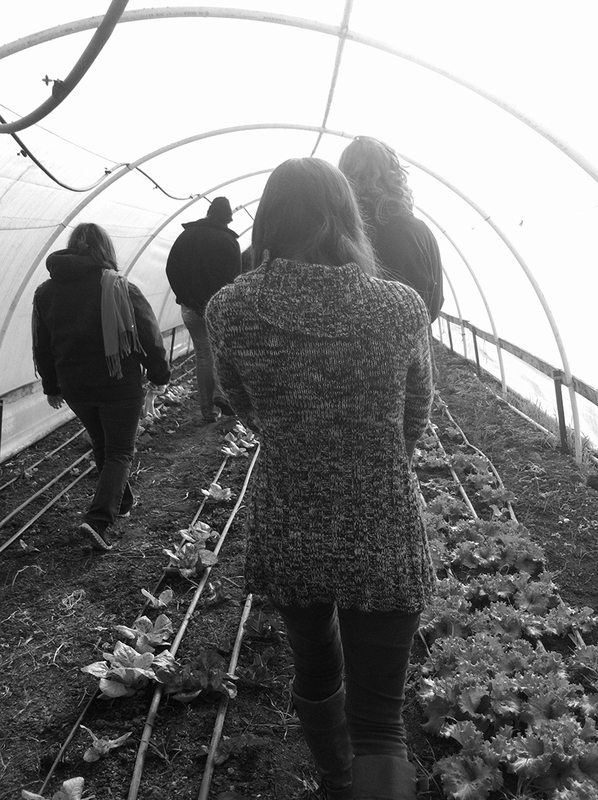 Join us on the ranch to take a look at areas where we’ve recently applied compost! This is the first in a series of workshops on this property to observe management changes over time. Come learn about Carbon Farm Planning and multi-beneficial soil management practices for rangeland properties. We’ll discuss our current Healthy Soils project and what practices we are doing to help sequester carbon, increase water holding capacity on the ranch. We’ll also hear from the rancher about other anticipated benefits such as increased forage production. 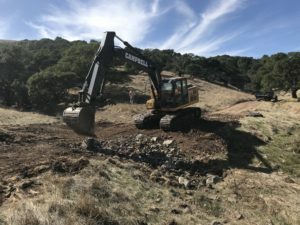 These unique workshops are targeted to support land owners and managers with natural resource conservation practices and cutting edge land management techniques. Expert practitioners offer insights and resources to participants through detailed presentations and field tour sessions. Collaboration with other local and regional stakeholders to design and execute these informative workshops provides an invaluable opportunity for agriculturalists to gain tangible tools to support the efficiency and sustainability of their operation.